Principal Cast : Charlie Chaplin, Edna Purviance, Eric Campbell, Albert Austin, Lloyd Bacon, Henry Bergman, Frank J Coleman, William Gillespie, James T Kelley, Charlotte Mineau, John Rand, Janet Miller Sully, Loyal Underwood, Eric von Stroheim Jr, Leo White, Tom Wood. Synopsis: A reformed tramp becomes a police constable who must fight a huge thug who dominates an inner city street. Chaplin the superhero: Easy Street sees the world’s best little Tramp take on Eric Campbell’s hulking streetwise bullyboy in a showdown for the ages, a frantic climactic chase sequence encapsulating the era of silent comedies with perfect editing, some wonderful pratfalls and a remarkably capable Chaplin in the lead. 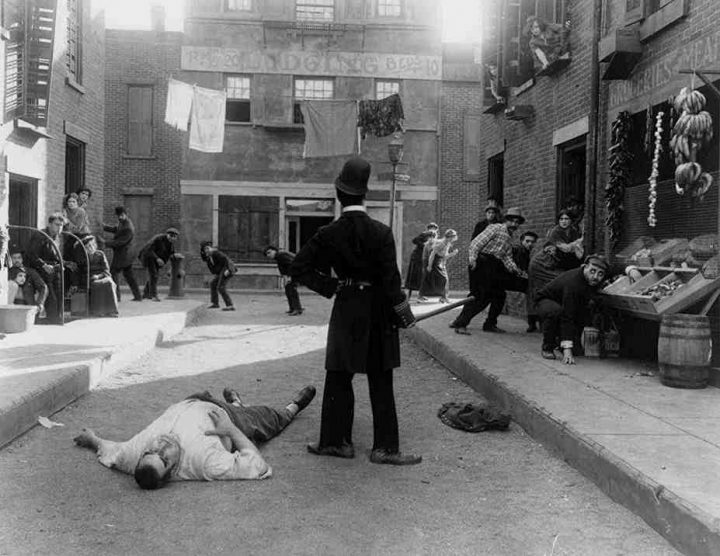 Easy Street showcases a different aspect of Chaplin’s comedy, unlike say The Immigrant or The Cure, in which social strata was personified to a degree, with the slums of the city’s poor being merely the backdrop for the comic’s particular brand of satirical thematics, rather than the forefront. Chaplin’s Tramp lives in the slums of Easy Street, where he stumbles into a church and finds reformative understanding: a changed man, he signs up to be a city policeman, only to find himself pitted against the street’s biggest bully (Campbell, in fine fettle) as he attempts to woo the lovely Mission Worker (Edna Purviance, Chaplin’s long-time on-screen romantic infatuation). 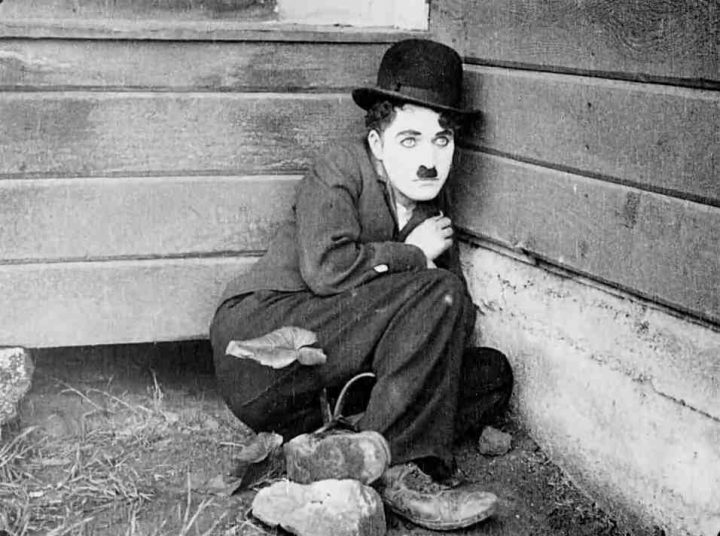 It’s interesting to note how often Chaplin depicted himself as the clumsy fool or the lovable idiot, something he avoided with Easy Street, where he transformed into the outright hero of the piece. Although acknowledging his origins – the Tramp begins the film as exactly that, a homeless tramp – Chaplin’s quick-change inspirational revelation to become a changed man (amazing how often Christ’s focus can ferment hidden feelings of altruism, really) mandates an equally quick-tempered foray into unabridged heroism. Chaplin’s take on the life in city slums isn’t particularly nuanced, and he scatters cliches from the life within his film. Notably, a poor working-class family burdened by many infant mouths to feed (seriously, man, get off her!) whom he and Purviance’s mission worker character attempt to assist via the pilfering of food. 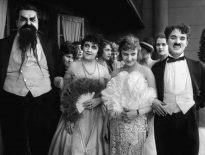 The street scenes, filmed on a run-down T-junction set filmed at Chaplin’s Burbank studio, echo the filthy London streets Chaplin was born into, and the canny design enables Chaplin and his supporting ensemble to work in plenty of manic Loony-Toon-esque moments of physical comedy. 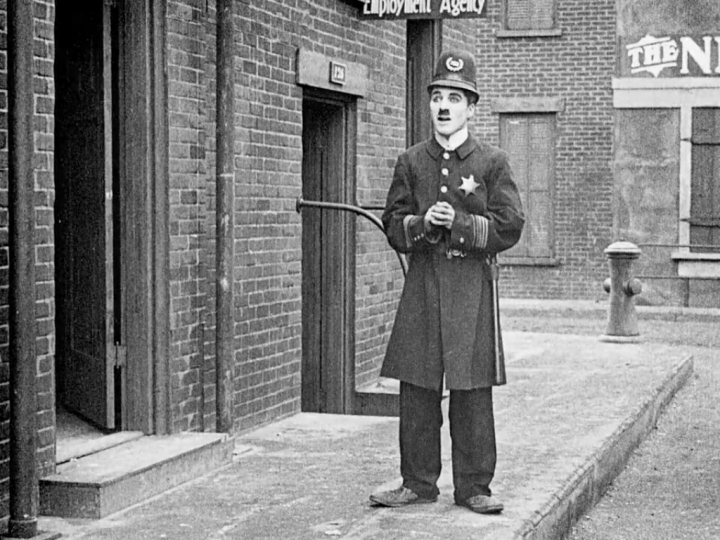 Chases, brutal fistfights and a number of hilarious “bits” for the audience to laugh at are well handled by Chaplin’s increasingly inspired direction, with the film intercutting between both Chaplin’s Tramp and Campbell’s Bully as they slowly, inexorably collide into a frenetic climax. 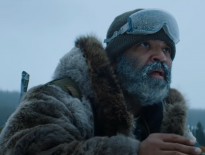 The film’s notable gags include several fairly basic Chaplin standards, from the constant assaults to people’s skulls with sticks and fists, to the pratfalls and continued double-takes he employed to enhance the natural funny in things. There’s a moment where Eric Campbell’s Bully has a brawl inside the Easy Street Police Station, in which he legitimately ragdolls an officer into a group of others in a pleasantly surprising trick shot, and the various street fights offer broad-spectrum comedic farce to scatter between pauses. The film’s most famous scene, in which the Bully and Tramp bend a gas streetlamp down to try and smother the other, captures the absurdity of Chaplin’s fantastical approach to comedy, in which Campbell’s brute size and apparent superhuman strength is utilised to ensure the Tramp must outwit, or outplay, never outmuscle, his screen rival. 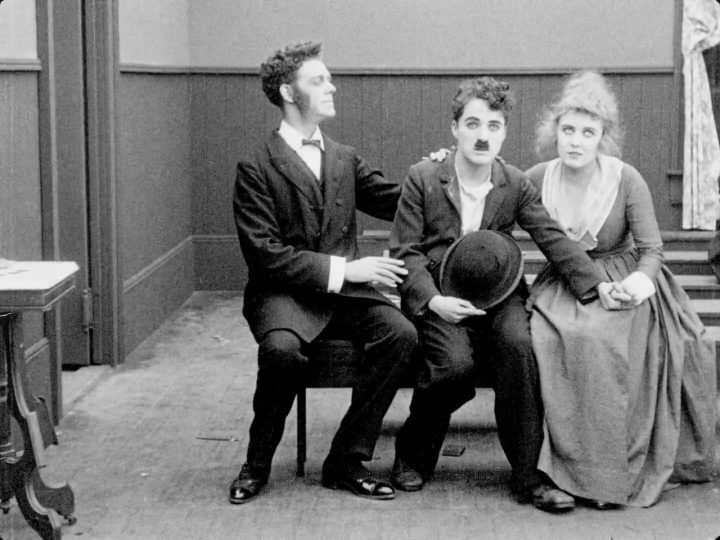 Easy Street represents Chaplin at his manic best, with himself as the protagonist hero, against the world of depressive pauperism and thuggish brutality. Reminiscent of his earlier shorts, Easy Street’s cartoonish physicality and double-take comedy are as fluid and creative as any Chaplin managed throughout his career, although the frayed edges of the jagged laughs in the early going threaten to unravel before things kick into gear. The work by both Chaplin and Eric Campbell in combining for a symbiotic on-screen comedy duo, despite those enormous eyebrows Campbell had shoehorned into a devilish trademark look, is exemplary. In short: Easy Street is an easygoing, eminently amusing watch.